Dennaton Interactive Design of the Future: The Hammer is Yours! Go to http://www.cheapkeystore.com/ . I must thank them for their great product key and warm customer service as well as quick delivery of email. This is the best online purchasing experience Ihad ever! You also can buy the product key here and activate you operating system in a short time. You can buy windows 10 product key from the Microsoft office site and its partner vendor. If you don't want to pay in high price, then I recommend you to buy it from the partner vendor http://www.KeysforVIP.com/. The same genuine product key but with a much lower price. What's more, the customer service is extremely good and considerate. I find it rather peculiar that The Hammer can fight everyone except for the soldiers. Why is that? Because they didn't do sprites of it, too much work, I guess? You can glitch him to play with the Soldiers but there are lots of bugs like the fat soldiers that can be killed with knifes, soldiers that turn into mobsters when thrown a knife, fat guys and soldiers that turn into generic black npcs when punched etc. Does he have any face sprites/graphics? 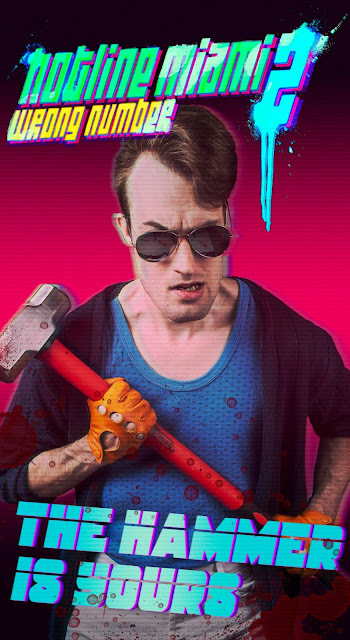 Dennis please answer me this question: I am a big fan of the show Hotline Miami. I played 2 games and read digital magazines and have the alpha level editor, but understand I did not buy any of Hotlines Miami on Steam I downloaded for tutorials and I want to play the beta level editor please tell me if there is a way to play the beta level editor without having bought Hotline Miami 2: Wrong Number on Steam please I beg you appreciate right now (sorry for my poor english)..
Something tells me Hammer will be the most hideously overused character. And its not suprising, since he has the most enemies and weapons to use. 1. Hammer can knock down a fat Police officer. They said you need to report bugs on steam. Hi, there, as for your question, you definitely need to buy a product key to activate your Windows 10 key. But don't need to worry about how and where to buy the genuine product key. You can go to the professional site http://www.keysforvip.com/ . Choose the target product and order it online. The support email will be sent to you at the first time. If you have any other technical questions, you can also communicate with their support team. I'd like to give a strong recommendation for http://www.Ms4Key.com// ( Windows 10 Product Key ) for Microsoft keys and software. I was looking for a Windows 7 product key copy, and from experience I've come to understand that buying online is actually a lot cheaper than for instance in my local store.. So I somehow ended up on san-kom but it seemed a bit, well, not reliable?.. So I made much reaseach on this site. No negitive feedback. I decided to give it a try, found the cheapest ever copy, put the copy in cart and started the checkout. From here on it actually went alot easier, I paid with paypal and about 1hrs i recieved my key in email, and about 5 mins later a download link for the ISO file. The key worked perfectly! surprise surprise, its legit!..I sent the customer support a thank you message, and they responded immediatly. Kudos! I will definitely come back to their website again! I believe choosing an authorized vendor or partner of Microsoft; you will feel relieved and confident. If the price is not so high or even low, you must love it and will buy it without any hesitation. If so, go to the online site http://www.Ms4Key.com/ . That will be your best choice. Having been used for several years, your computer may get crashed often? Every time when it goes crashed, you can just stand by anxiously? Or even want to buy a new and let this old one abandoned directly? Actually, it's not necessary at all! You can just upgrade your operating system by ordering a product key from the professional online site www.Gastonfiore.com you will feel like your PC is totally a new one. Also, you can chat with the guy on this site about your computer issue. You must get helpful answer and instruction ASAP. Hi, if you want to activate Windows 10 Enterprise Product Key, you need to have a product key. Don't worry if you don't have. It's very simple and convenient to search a product key on the professional site http://www.Microsoftkeyoffsale.com/ . Get the product key and then activate your OS step by step. Hope this can help you. Want to buy the product key but don't know which the best choice is? I would like to kindly recommend you an authorized online store @@@ http://www.keysforvip.com/ . I just bought the product key for my computer several days ago and I am impressed by their genuine product and lower price as well as good customer service. As far as I know, you can buy it from the authorized vendor online http://www.keysforvip.com/ . You can count on them 100% as this site is the partner vendor of Microsoft. This is the biggest competitive point. I can sincerely recommend you the site http://www.MSKEYSALE.com/ based on my personal wonderful purchasing experience on it. I also bought a product key for my Windows 10 key yesterday. The site provided more support and service than I expected. Go to http://www.Microsoftkeysales.com/ . I must thank them! My Windows 10 Enterprise Product Key just activated and worked well, they do provide the warmest customer service i ever met. because of employees like http://www.Microsoftkeysales.com/ , i will refer everyone to this site. there is also the site http://www.Gastonfiore.com/ that simply sell licenses only, Windows 10 key is 35. To buy a genuine product key, go to the site https://www.genuinekeyonline.com/ . This is definitely not like some sites which will make you worry about the purchasing safety. The payment process is confidential and guaranteed. More importantly, the product is genuine and with attractive price. Find a reliable store to buy the genuine product key? Then, the best choice is http://www.MSKEYSALE.com/ . Place the order and you will get the key within 30 minutes. Much more efficient than that you buy from others. Thanks to the online product key vendor https://www.genuinekeyonline.com/ , I get the legal copy of the product key in the first time. Now, my Windows 10 Enterprise Product Key system brings to me a good user experience. Any such problem, go this online site for help. You certainly will get your problem solved.